Singapore has been established to have a very good standard for water. Its’ tap water was even determined, through guidelines of the World Health Organization, to be suitable for drinking even without filtration. With that, we should remember the benefits of water and its importance to our overall health. Our body fluids are factors that are important for circulation, digestion, distribution of nutrients, and the regulation of body temperatures. When we are able to drink enough water, our body fluids function and proceed well. Overall, making us feel healthier. When we are low on water, the “thirsty” mechanism is triggered by our brain to let us know that our body is in need of liquid. This should then, not be ignored so that the fluids already in the body can function well. The “thirsty” mechanism of our body is triggered as an effect of losing too much fluid, for example through sweating. Athletes lose about 6% of their body’s water, but, losing as little as 2% can already reduce performance. When we exercise or do any physical activity, it also causes our muscles to lose water and eventually make them easily tired. Drinking enough fluid before, during and after any taxing physical activity not only helps to replace fluids lost by sweating but also energizes the muscles. Without the knowledge of many, our skin actually contains plenty of water and acts to prevent more loss of fluid. Skin cells, like any other in the body, is made of water. When we lack water, our skin becomes dry and tight making it more prone to wrinkles. There are also toxins in the body that causes inflammation in the skin, which then causes acne. 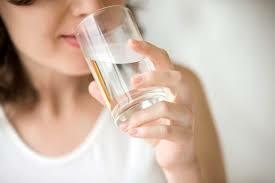 Drinking enough water can help re hydrate our skin, flushing out the toxins and helping to reduce acne. Hangovers are partly caused by dehydration which can be brought about when drinking alcohol. Drinking alcohol makes us lose more water than we take in, so the more water you drink after or even while drinking alcohol, the faster the replacement of fluids and the better you will feel. 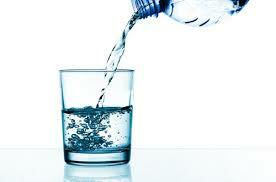 Drinking a lot of water before falling asleep and waking up the next morning greatly helps fight a hangover. A common idea we get from others is to drink water before meals to help you feel like you’re already full, therefore making you eat less. Simple as it sounds, that’s not the only reason why it helps with weight loss. Drinking water 30 minutes before taking your meals has been observed to be the most effective at making you feel fuller. Drinking cold water also will cause the body to use more calories to balance the water and body’s temperature.